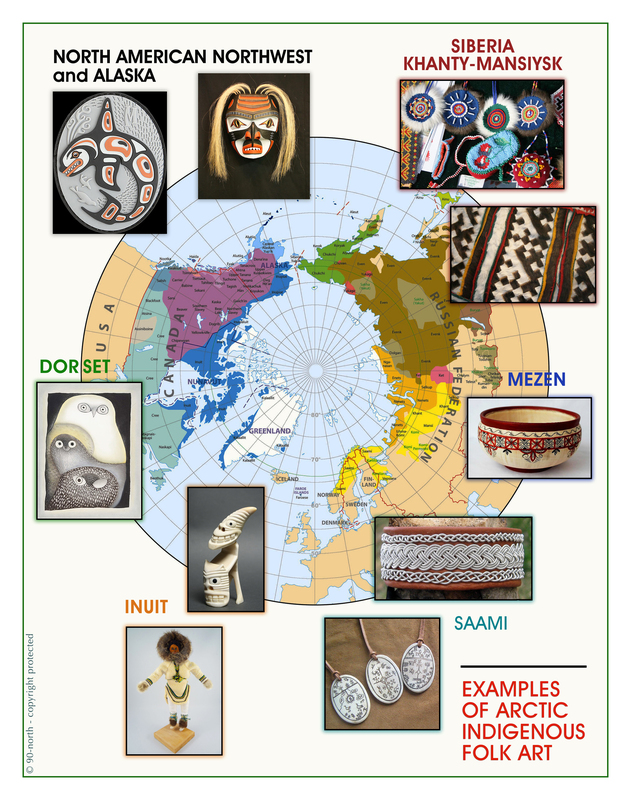 90-north is proud to offer a variety of innovative multimedia “Arctic Indigenous Visual Arts” programs that explore the distinctive types of folk art from the many regions of the Circumpolar North. By focusing on individual indigenous groups and their belief systems, students will better understand why each style of art has become a distinguishing expression of cultural identity. The objective of these unique hands-on classes and workshops is to broaden the curricular scope from STEM to STEAM [Science Technology Engineering ARTS Mathematics]. Designed for specific age groups and skill levels, each class or series will give participants opportunities to not only view images and actual examples of regional folk crafts, but to also create their own artwork using similar materials and methods. These may include drawing, painting, stone cuts (linoleum), wood and/or bone carving, mask-making, beadwork, ceramics, leather or fabric ornamental design, and jewelry crafting. 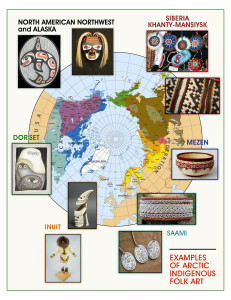 Upon request and time-permitting, presentations may incorporate readings of traditional folktales and legends, accompanied by recordings of regional music or native singing, as well as a slideshow of breathtaking photos from across the Arctic. This full sensory cultural experience promises to cultivate artistic creativity, fuel the imagination, and enhance individual aesthetic vision.